For a limited time, Global Research is offering you the chance to explore our thought-provoking, incisive books at a special price. This is an ideal opportunity to broaden your understanding of critical themes such as war and globalization, economic collapse, genetic modification of our food sources and intelligence and media disinformation, all analyzed within the best-selling titles available through Global Research. Simply browse the selection of book titles available on the Global Research Online Store and place your order for any two books or your choice*. Then, send an email to [email protected] with the subject “FREE BOOK” and let us know which book you would like us to include with your order, absolutely free. Kindly include your full name and PayPal Transaction ID number in the email once you have made your purchase. Kindly note that this offer expires on November 26, 2010 and is only available in North America to ensure timely delivery. For example, are you interested in understanding the processes of globalization, unemployment and the global war theatre? Pick up a copy of “The Globalization of Poverty and the New World Order” by Michel Chossudovsky. Concerned about how your food gets on the table? Order F. William Engdahl’s “Seeds of Destruction: The Hidden Agenda of Genetic Manipulation” and find out the truth behind the giant agro-industries controlling the global food markets. Then, choose ANY book of your choice absolutely FREE! This is an ideal time, for example, to get the latest release from Global Research, “The Global Economic Crisis: The Great Depression of the XXI Century“, with insightful, up-to-date essays by top GR contributors like Andrew Gavin Marshall, Ellen Brown, Michel Chossudovsky and many others. Build your library and share these important volumes with friends and colleagues, just in time for the holidays! Browse all our titles online and make your selection! As part of our mandate to increase public awareness on the pertinent issues of our times, Global Research is happy to help you give gifts with meaning and substance. In turn, your purchase supports our projects, including book publishing, conference organization and ongoing efforts to curb the tide of media disinformation. Take advantage of this special offer now and ensure that you receive your order in time for the holidays. Remember, you will be receiving 3 books for the price of 2. Don’t miss out on this opportunity to collect and share all the best-selling Global Research titles! To browse our selection of books, visit our website now by clicking here. 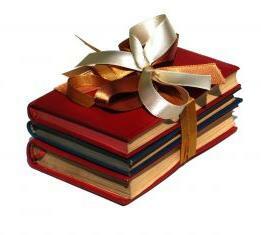 REMEMBER, WHEN YOU BUY 2 BOOKS, YOU RECEIVE ANY THIRD BOOK FREE! 3. Print out our Credit Card Fax Authorization Form and fax your order to 1-514-656-5294. *Offer applies to North American orders only. Kindly note that this offer does not apply to DVDs. Offer expires November 26, 2010. Global Research wishes you a peaceful and joyous holiday season, and all the best for the coming year. Thank you for your continued support.